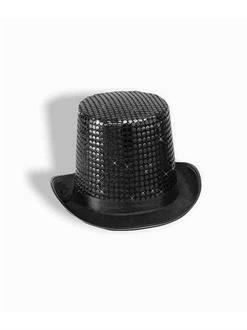 Have the Sequin Top Hat Adult Black to match your style. Flashy sequins are attached to this standard top hat. It is all black to fit a variety of occasions. You will turn into the most fabulous magician or aristocrat around. Use the hat during Halloween for parties and costumes.